…but why not have a second line of defense? Carry these three personal safety apps and stay safe on any kind of trip. Each of them takes a different approach to keeping you safe. The single button on the app acts as a trigger. Press and hold it down when you feel that you are in danger. It acts as a silent alarm and police will rush to your location. Release it when you feel that the danger has passed. You also have to enter a 4-digit PIN to verify that you are really safe. Uses GPS to track your location. Works like a 911 call to notify other emergency responders. Supported by 24/7 call centers. bSafe uses location tracking to keep a group of your favored contacts (your Guardians) updated about your whereabouts. They can track you via a map at their end. Press the large red SOS button in case of a danger and they will be notified immediately. Video and audio information can be sent to your guardians. A Timer Alarm can be set off automatically if you have not checked in within a certain time. A message alerts your guardians that you have arrived safely. A simple text message is still powerful. If it is delivered on time. 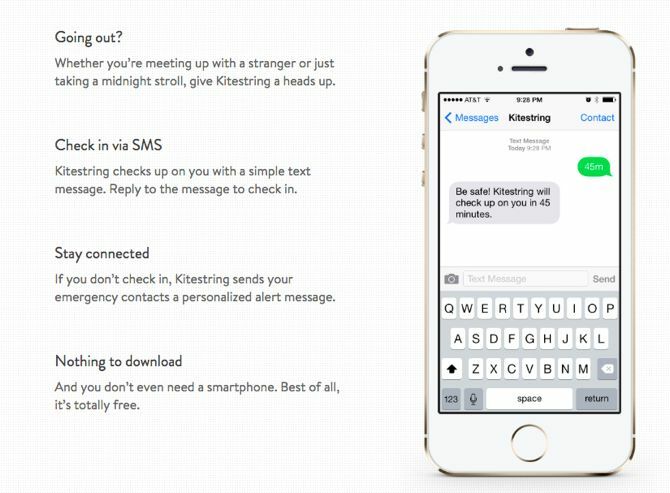 Kitestring relies on good old SMS to check up on you at set intervals. If you don’t respond to the SMS, it will send your emergency contacts a personalized alert message. Can be used on any phone with text messaging. Kitestring has a free plan and a low-cost paid plan. When you are in an emergency, there should be the least amount of delay between the event and the call. Most apps work with call centers and not 911. 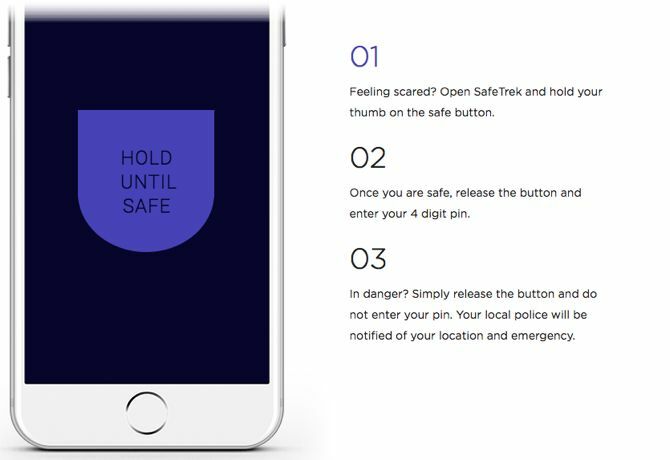 Also, get to know the features of these personal safety apps beforehand. Remember that many mobile phones have their own in-built emergency response features. For instance, you can easily turn an iPhone into a personal security device.